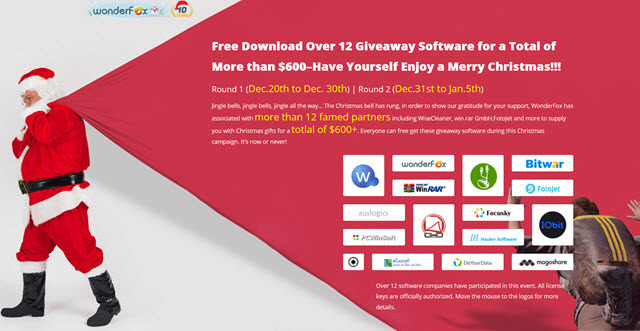 WonderFox is giving away over $600 (US) worth of software in celebration of the 2018 holiday season. Click on the above image and you will be taken on a ride to their site so you can see what’s up for grabs! Thanks for the opportunity to load some more ‘goodies’. Wishing for you and the DCT members and families A Merry Christmas and Happy New Year. A big thank you also for the regular computer advice,tips ans tricks. Thank you and we hope you, too, have a wonderful holiday season!